How Do You Buy Real Estate? Buying a home or condominium is not a decision to be taken lightly. Sometimes just trying to determine where to start can be an incredibly frustrating task. Every website, family member, friend, and news outlet may seem to have different advice on where to begin. What do you do and whom do you believe? Your agent should be experienced and have referrals readily available for you (check Yelp, Trulia, and Zillow for reviews). Your agent should be able to explain the real estate process clearly and in detail. Your agent should have a strong online presence (type their name in Google to see if anything shows up). Even try YouTube. A cutting edge agent will have a YouTube presence and channel. A bonus here is you can get a great feel for an agent on video before meeting in person. Get Your Finances in Order: Have you looked at your credit report lately? A mistake on your credit report can mean the difference in thousands of dollars. How much can you afford? Your lender (see next tip below) can give you a very accurate estimation on what you can qualify for but try out an online mortgage calculator (such as the one to your right) and see how home ownership will change your budgeting on a monthly and yearly basis. Often times it helps tremendously with mortgage interest rate deductions calculated at tax time. Find The Right Lender: I recommend interviewing several different lenders. Make sure they understand your concerns and questions but more importantly make sure they can answer in a clear and concise way you understand. A great lender will be able to help craft a home buying strategy based on your finances, your credit, and your overall long-term financial needs. I always have several great lenders I can recommend, please just ask. Decide What’s Really Important: Number of bedrooms, bathrooms, yard size, pool, school district, the list goes on. This is very important as often times it will determine your price point and your San Diego location possibilities. I recommend making yourself a checklist to use when viewing homes in person and listings on the web. Understand The Property Search Options Available: The search system San Diego Real Estate Agents use to view, list property for sale, and obtain details is called the Multiple Listing Service or MLS. Your agent is going to have just about every available home or condo option available for you on his or her MLS system. Public sites such as Zillow or Trulia claim to have the same or most property listings but they do not. The truth is they are always are missing a certain percentage of listings. Your agent will be able to send you more listings, more complete listing information, and most importantly accurate listing information on homes and condos you may be interested in. Receive Online Property Updates Daily: The best homes and condos in San Diego are going into escrow quickly! When a new property lists for sale that matches your criteria, you need to be the first to know. A bonus I offer my clients is notification based on MLS meaning you find out about a new listing in “real time” and before most other buyers and agents, a huge buyer advantage. Also, make sure your agent is sending you “unlisted” or “pocket” listings they might be aware of. Not every home for sale is listed on the MLS system. I send my clients pocket listings as soon as they come to my attention, another huge advantage over other agents and buyers who simply do not know about them. Be Ready to Act Quickly: Know your neighborhoods, know general market values for homes in your area of interest, and know what you want because you will most likely need to act quickly to compete in this competitive San Diego real estate market. This is one of the easiest tips if you have the right real estate agent to coach and assist you with preparation. Choosing the right San Diego Real Estate Broker to guide you through the San Diego home or condo buying process is critical. It can mean the difference between getting the property of your dreams quickly or spending months and months looking for, bidding on, and losing out on home after home. Choose your San Diego Real Estate Broker wisely. Let’s start home shopping today! What are some of the things you would like in your new home? Details are appreciated! Ideal locations or zip codes you are interested in? What type of real estate are you looking to purchase? 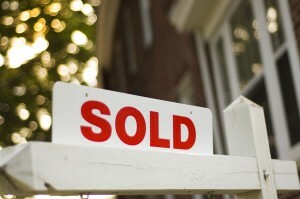 Do you have to sell a home to buy your new home? What is your ideal purchase price? Do you need financing to purchase your home or are you planning to pay with cash? If you did NOT select "cash" above, do you need a lender referral?